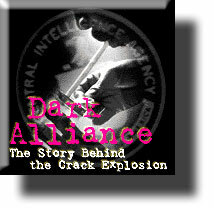 Note: This article was originally published by FinalCall.com News in 1996 by former Final Call News West Coast Bureau Chief, Rosalind Muhammad. shootings, murders and robberies -- courtesy of the U.S. government, according to the article. Associated Press (AP) says "Judaism is a Gutter Religion"
The following is a memo which originally appeared in late economist and former Wall Street Journal editorial writer Jude Wanniski's, Polyconomics.com. Despite numerous clear and concise corrections, news services such as the Associated Press (AP) continue to violate their declared "principles" of journalism by promoting the inaccuracies. Last spring, I engaged in an e-mail exchange with former New York Mayor Ed Koch, the man who originally labeled Louis Farrakhan a "Black Hitler," back in 1984. Koch wrote a series of columns in the New York Post earlier this year criticizing me and journalist Robert Novak for inviting Min. 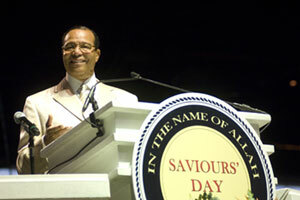 Farrakhan to our annual supply-side conference in Florida. I invited Koch to exchange views, which we did, and in response to one offer, he challenged me to explain why Farrakhan had called the Pope an "anti-Christ" and called Judaism a "gutter religion." I passed the request on to Min. Farrakhan and he answered in this letter. Christmas week is a good time to publish it. Regarding Mayor Koch’s assertion that I made reference to the Pope as being "the anti-Christ" on the Phil Donahue Show, my secretary searched each of the four Donahue shows on which I appeared over the past dozen years. She could find no reference to my charging the Pope as being the "Anti-Christ". I am sending a copy of all the tapes for your own review. Indeed, when I was young, the Honorable Elijah Muhammad instructed me, that as a Minister in the nation of Islam, I was certainly not on the level of the Pope and that I should be very careful how I directed any criticism at the Pope. I have instructed all of my Ministers in the same manner. This is why I was most disturbed at the words concerning the Pope made by Khalid Muhammad, when he was under my leadership. In my mind, I believe you agree in your mind as well, those who teach and inspire others to act against Christ’s Teaching must be considered anti-Christ. In the past, there have been Popes, other high officials of the Church, priests, lay persons, Muslims and non-Muslims who have accommodated themselves to views and actions which most of us would now consider antithetical to His Teaching. I believe, to be of a mind and spirit to oppose Christ as a conscious act is an act of Satan himself. Most Christians who violate Christ’s Teaching do so out of weakness or temptation, not out of a conscious desire to uproot and/or destroy the Message of Jesus Christ. Regarding Mayor Koch’s challenge of my statement of March 11, 1984, about Judaism being a "dirty" religion or "gutter" religion. I have since then, at least a hundred times, explained that I made the "dirty religion" comment in a political context, after I was charged by some Jewish political and religious leaders with being the new "Black Hitler," in anger, I responded: "Here come the Jews calling me Hitler. The only way you can compare me to Hitler is that Hitler rose his people up from the ashes of defeat in World War I and I am trying to raise my people up from the ashes of slavery." Then I said, "Do not compare me with your wicked killers", by which I meant murderers in the white race. I have never murdered anyone, advocated murder, or urged any form of physical violence. All human life is sacred to me. I believe all human beings can be redeemed except those who have violated the law of Allah (God) in such a way that it demands the forfeiture of their lives. Regarding the state of Israel, I said in 1984, "Israel has not had any peace in 40 years and she will never have any peace for there can be no peace structured on lying, murder, and injustice, using the name of Allah (God) as a shield for your dirty religion." Countless times over the years I have explained that I never referred to Judaism as a dirty religion, but, clearly referred to the machinations of those who hide behind the shield of Judaism while using unjust political means to achieve their objectives. This was distilled in the New York tabloids and other media saying, "Farrakhan calls Judaism a gutter religion." As a Muslim, I revere Abraham, Moses, and all the Prophets who Allah (God) sent to the children of Israel. I believe in the scriptures brought by these Prophets and the Laws of Allah (God) as expressed in the Torah. I would never refer to the Revealed Word of Allah (God) -- the basis of Jewish Faith -- as "dirty" or "gutter." You know, Jude, as well as I, that the Revealed Word of Allah (God) comes as a Message from Allah (God) to purify us from our evil that has divided us and caused us to fall into the gutter. In the same way, I have throughout my life referred to Hitler as a wicked man, yet, the national news media insists that I called him a "great man," with the implied inference that "great" means "good." However, I did refer to him as "wickedly great." in the same sense that Ghengis Khan stands out in history. For political purposes in 1984, as Jesse Jackson sought the Democratic presidential nomination, his opponents chose to characterize my words in the headlines, "Jackson’s pal hails Hitler." No matter what I have said to explain my meaning in the last 13 years, whenever my name is mentioned or I am written of, the words are repeated, "Louis Farrakhan -- the man who called Hitler great and Judaism a gutter religion." I have given the above explanations over and over again and do so here again in hopes that your dialog with Mayor Koch can at last bring this issue to a close, at least among those willing and able to be objective. I believe in the commandment of Allah (God) revealed by Moses, "Thou Shalt Not Bear False Witness Against Thy Neighbor." Jude Wanniski: "I reviewed the four tapes of the Donahue show and found no mention of the Pope. I sent Min. Farrakhan’s letter to Ed Koch along with a letter of my own. He answered back that the Anti-Defamation League acknowledged making a mistake regarding the "anti-Christ" quote and that it would no longer attribute it to him. Otherwise, Koch said it was time to end the dialog. He saw no point in continuing it."